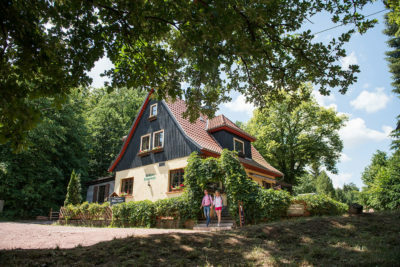 It's almost like a fairy tale. 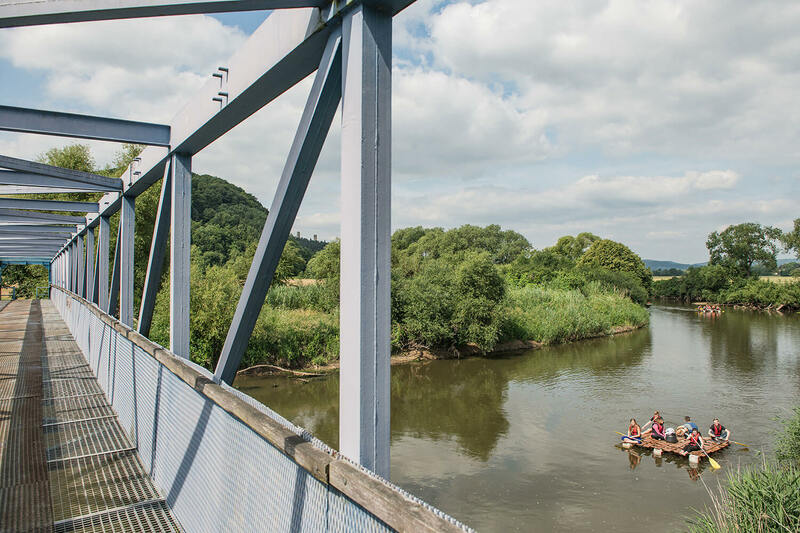 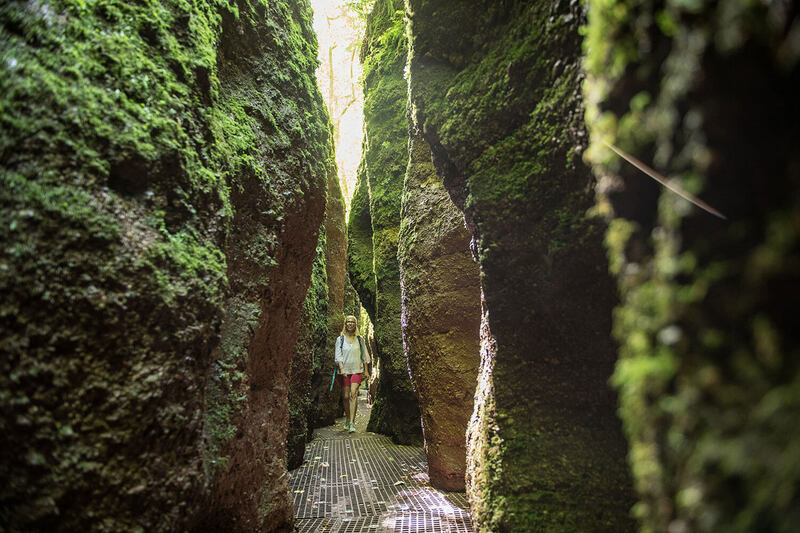 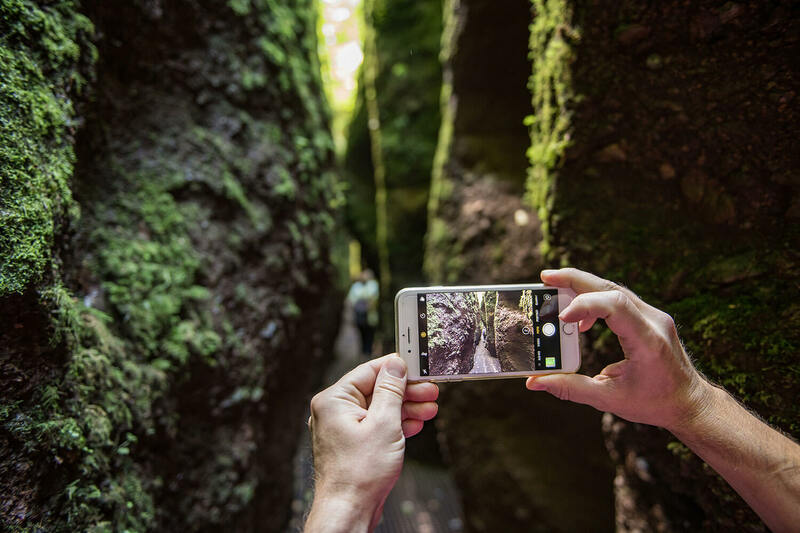 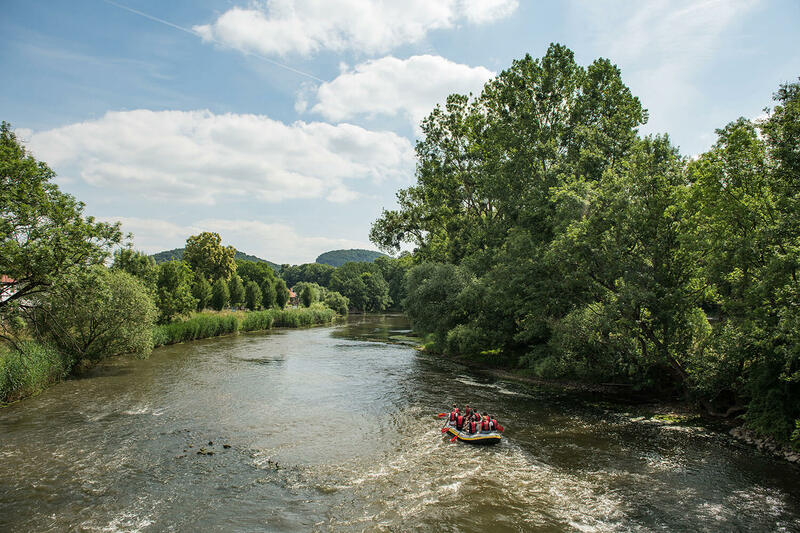 Take a walk through one of Thuringia's most exciting geodesic monuments and explore the narrow gorge on footbridges over a rushing brook. 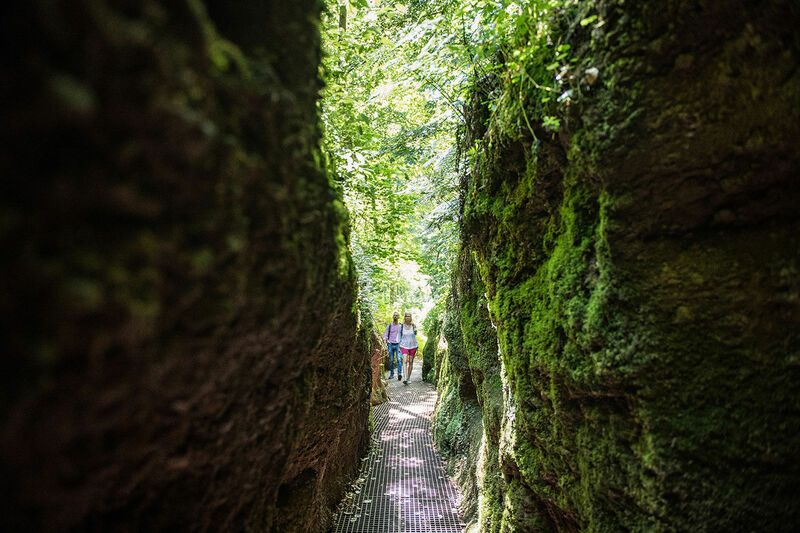 All around Eisenach you will find numerous scenic vantage points and natural monuments. 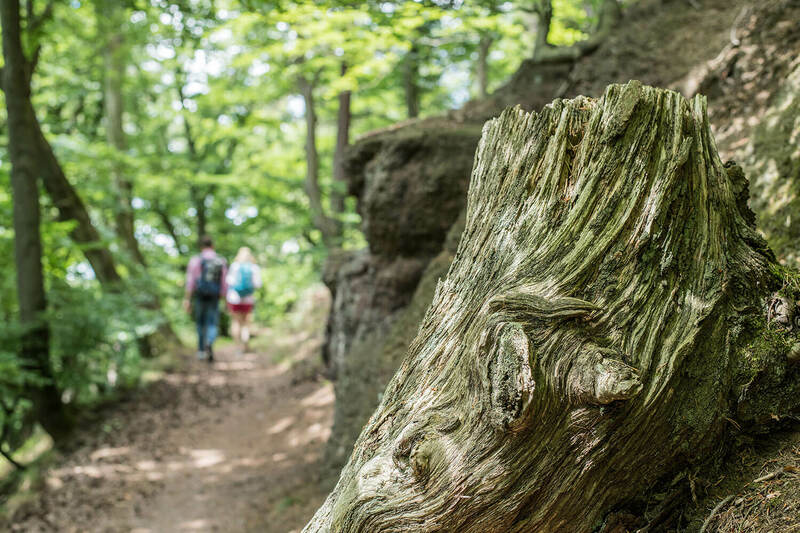 Go on hikes through stunning panoramas and take in great views in a fabulous landscape. "bin ich oft gegangen …" was Herbert Roth's anthem about the Rennsteig - Thuringia's most beautiful hiking trail. 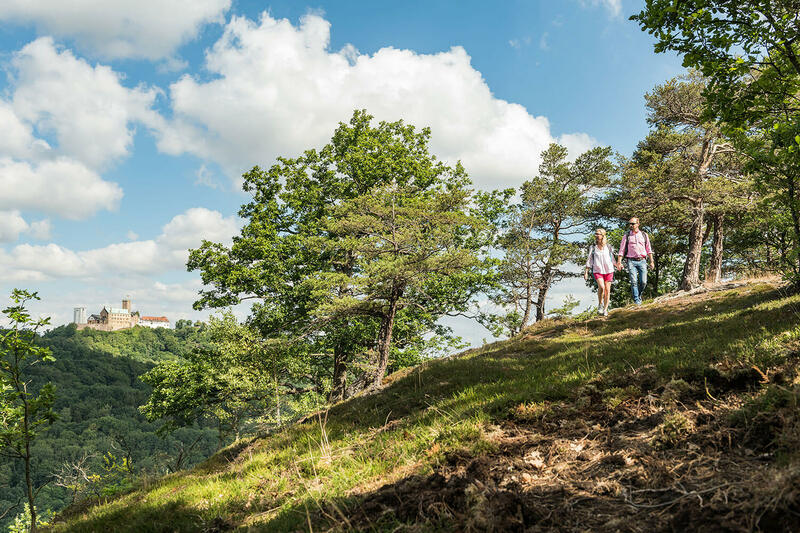 Let yourself be enchanted and inspired by the unique nature with its magnificent views. 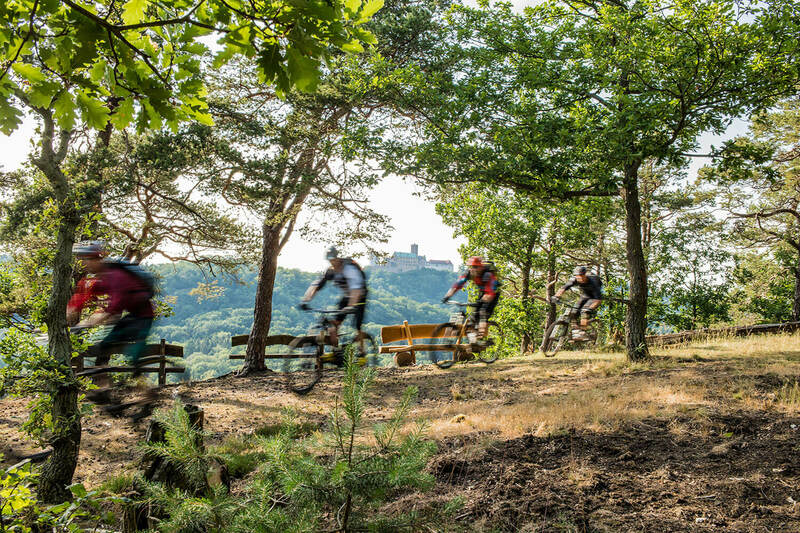 Walking, hiking, jogging or riding your bike – you decide the pace at which you want to experience the wonderful Thuringian Forest. 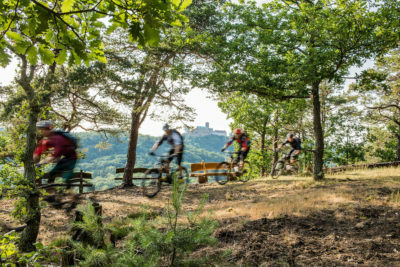 A great network of trails provides opportunities for every kind of tour. 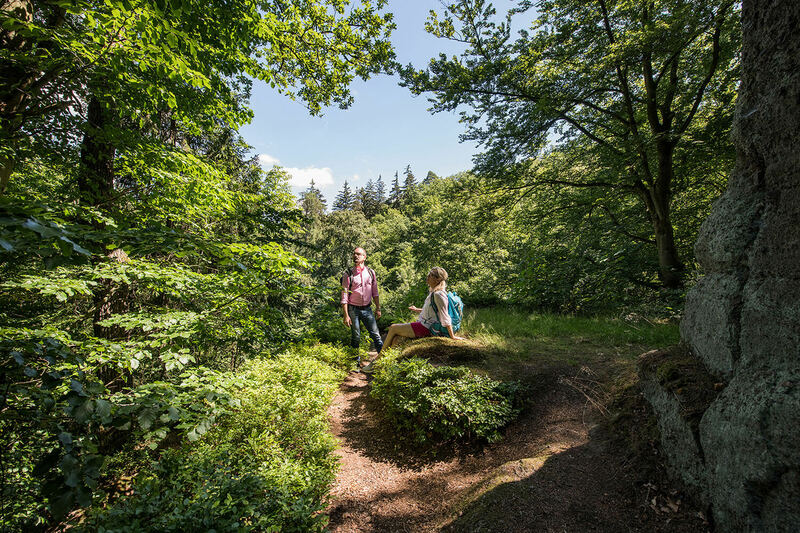 Go for a hike on a part the world-famous Rennsteig trail or through the impressive Drachenschlucht gorge. 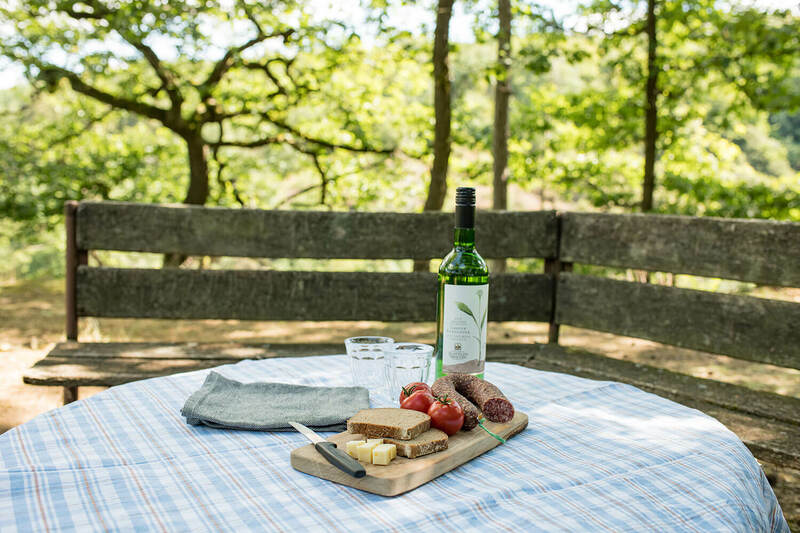 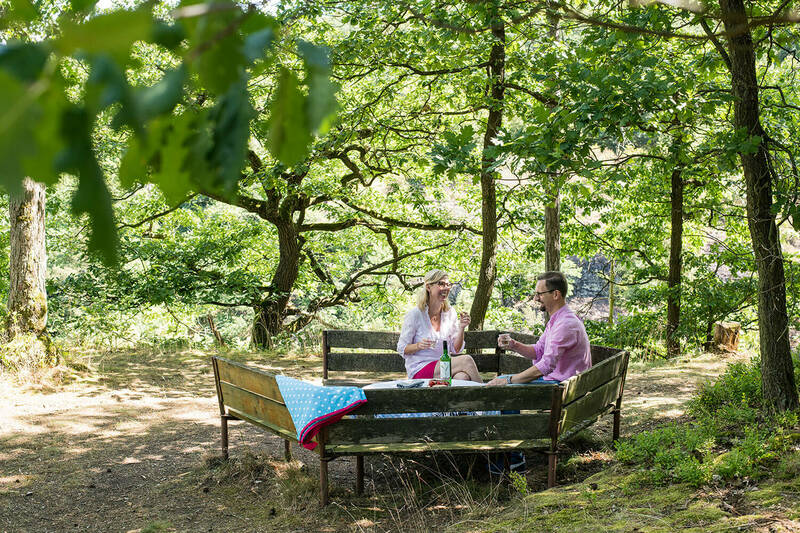 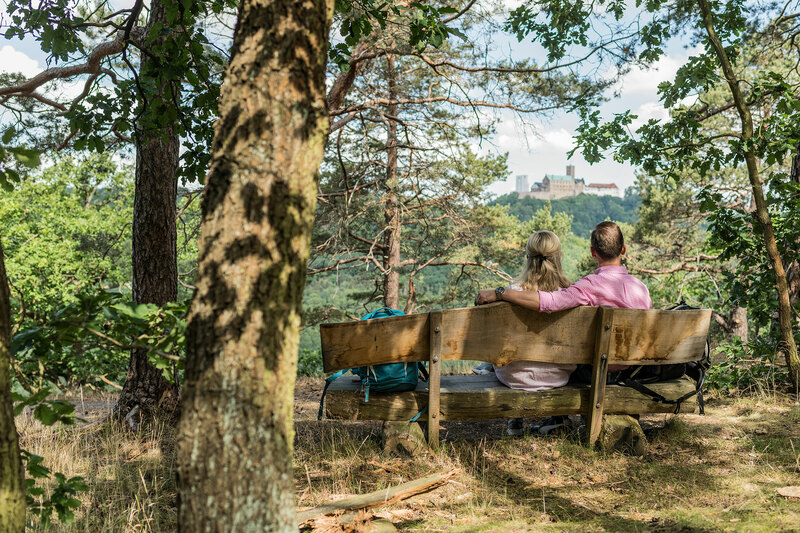 Take a deep breath at beautiful viewpoints and recharge your batteries in the green arms of nature. 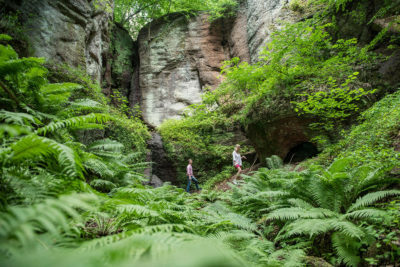 Discover the legendary gorge with its diverse flora and fauna, and with a little luck you may even encounter the rare fire salamander. 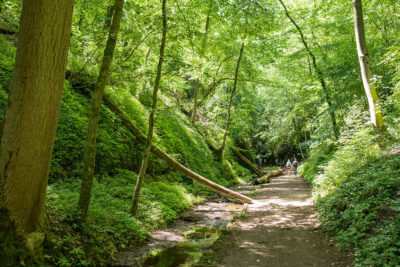 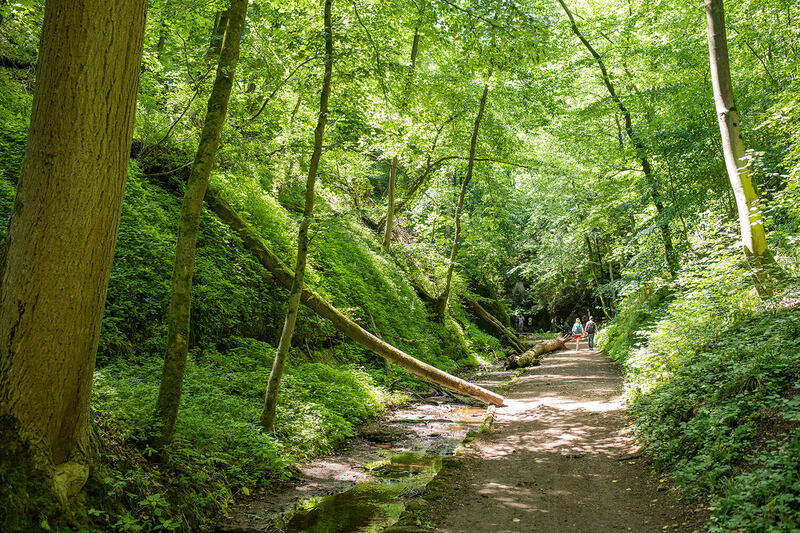 You can explore the ravine on footbridges and forest trails between steep slopes and rock walls. At its narrowest spot, the gorge is only 67 centimeters wide. 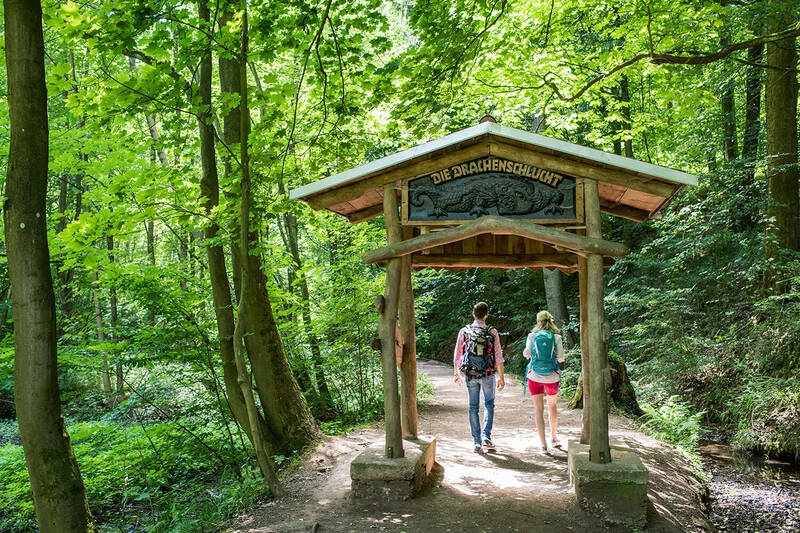 The first leg of the most famous German hiking trail starts in the village of Hörschel. 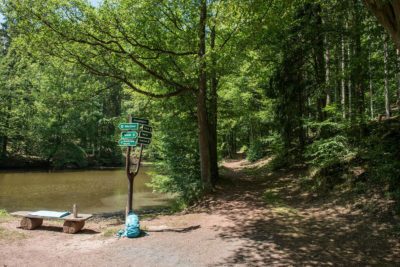 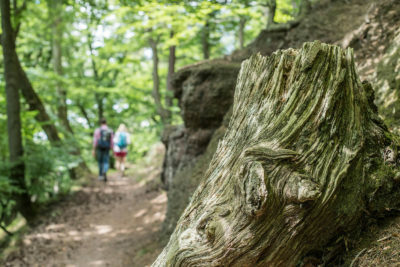 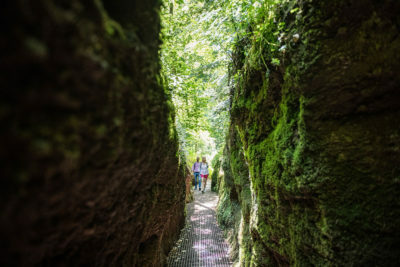 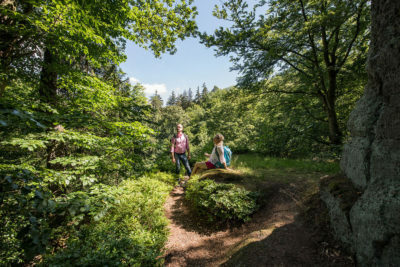 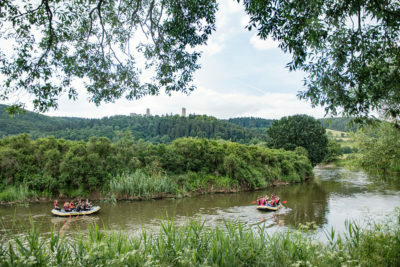 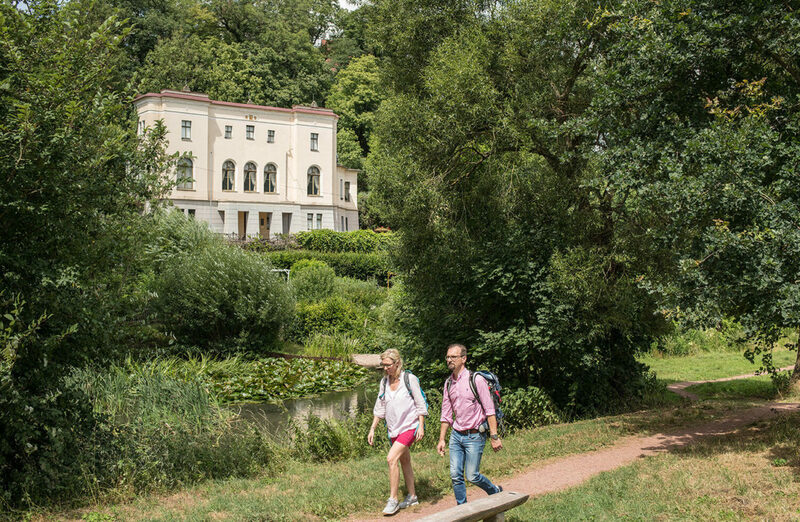 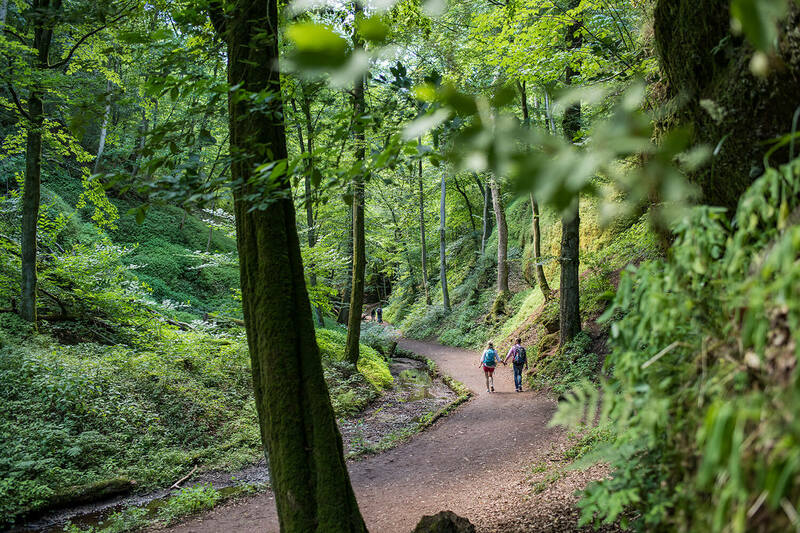 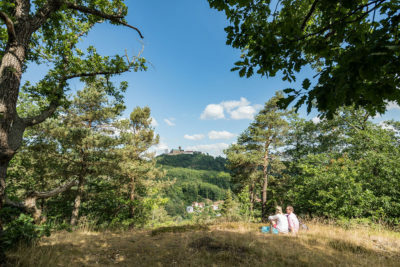 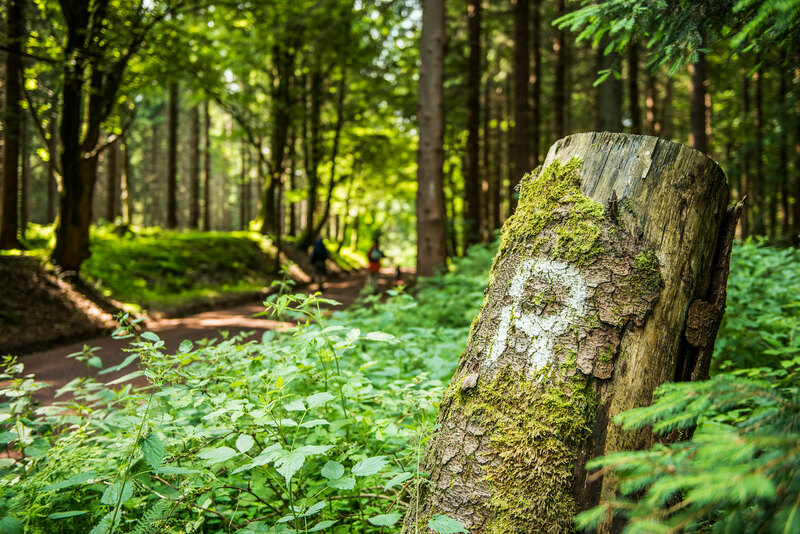 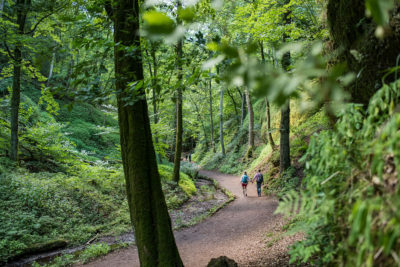 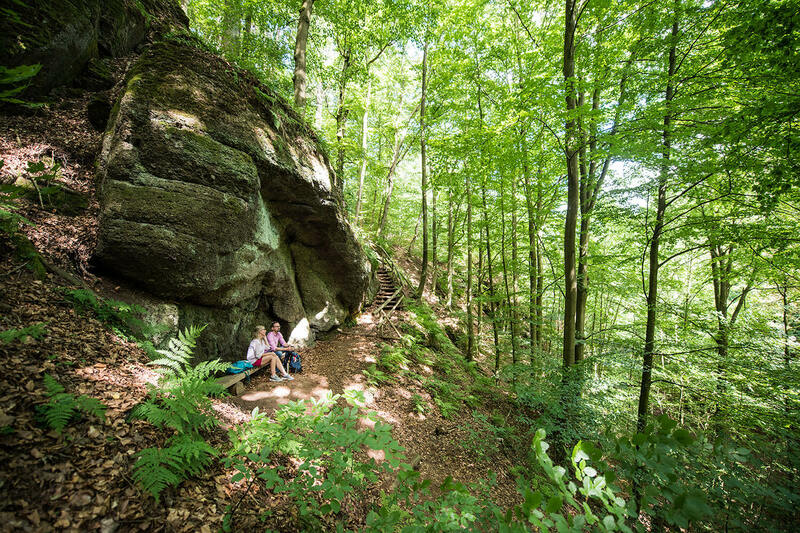 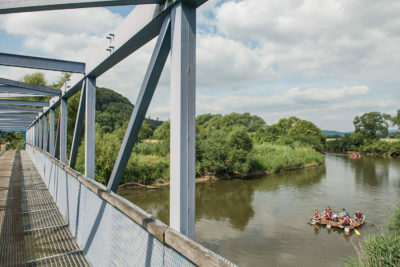 After about 15 kilometers, the Rennsteig hiker can reach Eisenach or the Wartburg castle through the wild-romantic Drachenschlucht Gorge or continue the hike to Inselsberg Mountain. The elusive wildcat is the heraldic animal of the Hainich chain of hills. However, it is rarely found in the wild and therefore highly endangered. 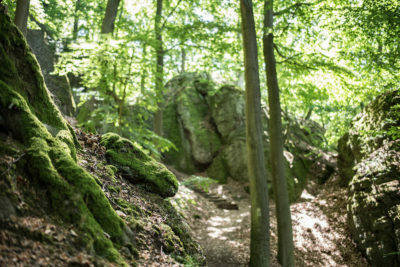 For this reason, there are some projects to support the propagation of wildcats and create natural habitats for them. 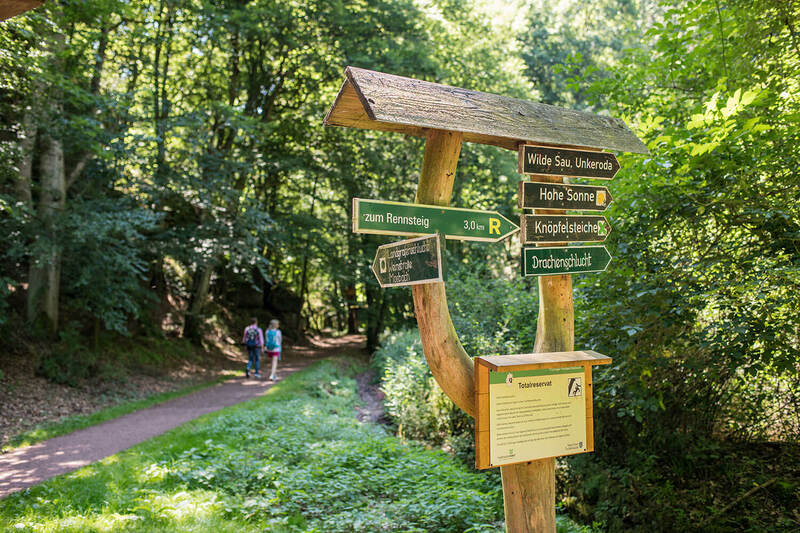 In the wildcat village, you can discover and experience this elusive forest animal up close! 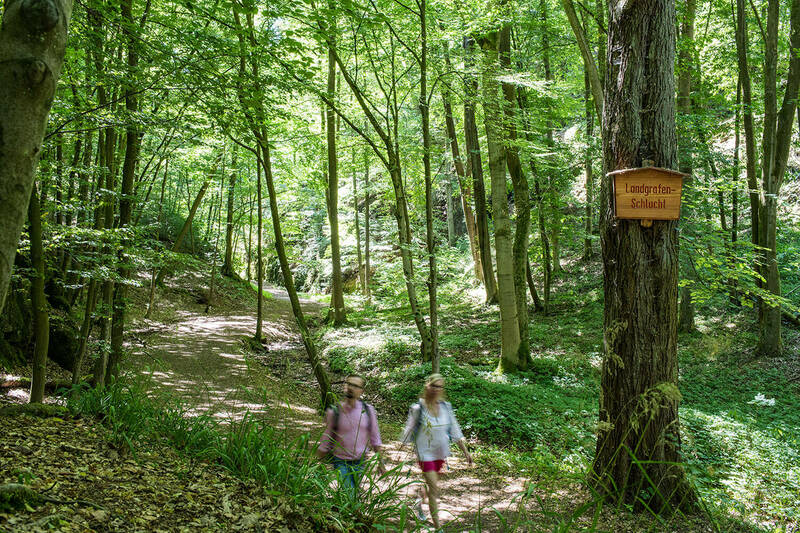 In the Hainich you can climb to the top of the trees – on the highest tree canopy path in Germany. Here you can discover the diversity of species in the Hainich region, go climbing between nets at a lofty height or just enjoy the panoramic view. A great trip for the whole family! 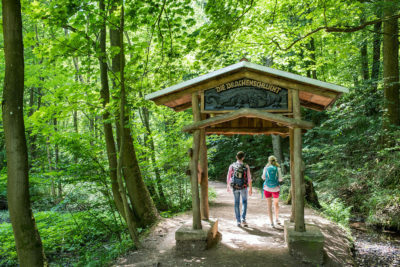 Eisenach owes its well-structured, well-forested environment to Oberforstrat Gottlob König (1743-1789). 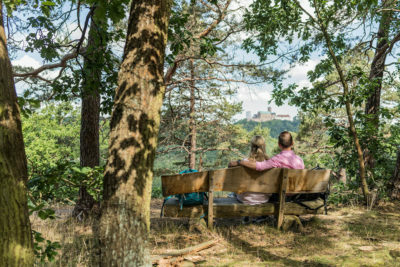 Thanks to his ideas about new “forest aesthetics”, a uniquely beautiful forest has developed over time which, with its paths, natural monuments and great views, has the appearance of a magnificent landscape park. 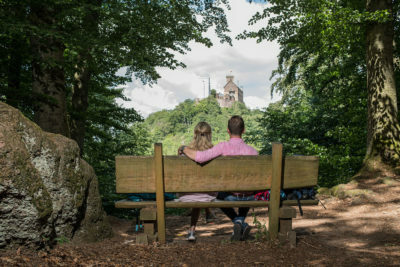 Just start going for hikes on the well marked paths around Eisenach and enjoy views of the Wartburg Castle, the city and the surrounding area.